By Wei Sun (Fightback, Christchurch). The second movie of The Hunger Games trilogy—Catching Fire, based on Suzanne Collins’ dystopian novels, officially started at the cinemas in November 2013. As a sequel to the first movie The Hunger Games, the story of Katniss Everdeen and the post-apocalyptic nation of Panem continues; and as in the previous movie, the kids from 12 districts selected by Capitol are being sent to the wild to fight against each other to death. Catching Fire should possibly cause more concern to the far-right US commentators, after they targeted venom at a few ‘Marxist’ films such as The Muppets and The Lorax. At the end of The Hunger Games, Katniss temporarily loses her consciousness due to the massive explosion destroying the arena. Therefore, the 75th Hunger Games is forced to end earlier than it is originally planned by Capitol. When she wakes up, her sorrow turns into anger and determination in no time. One major difference between the first and second movie is that in Catching Fire, the main characters—Katniss and Peeta from District Twelve—are getting more rebellious rather than being scared and depressed. The desire to end the oppression of Capitol keeps growing stronger throughout the movie. Katniss chooses to fight back against Capitol in the end, which is completely different to the first movie where she and Peeta attempted suicide to prevent Capitol from having only one victor for the 74th Hunger Games. Very similar to our society, people are being divided into ‘districts’ that are forced to fight against each other to survive. A tyrannical dictatorship rules, and also ensures to enforce the brutal Hunger Games annually to make submissions to the state. 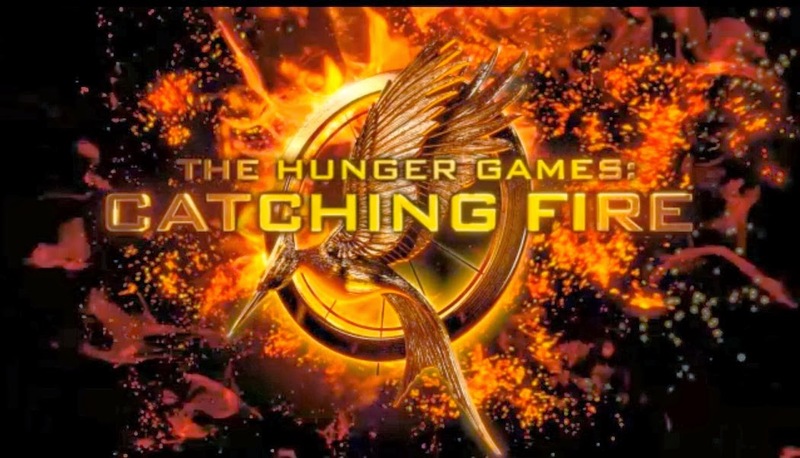 The Hunger Games also act to distract the working-class from the daily grinding struggle. Class politics is a major factor of The Hunger Games trilogy. While the ruling class in Capitol are enjoying all the luxuries, the poor and powerless class are being watched for the rich-class’s entertainment, struggling from poverty and having to fight completely unwillingly against one another to survive with the constant high risk of losing their lives. Donald Sutherland, who plays the head of state President Snow, has said that he only plays this role to inspire young people to start a revolution and fight back, because the rich class need the annual Hunger Games to continue to make the state complete. And because class society is very fragile; the poor who are fighting back against the upper class nearly destroy Capitol in the end, indicating that the rebellion continues without doubt in the last movie Mockingjay. Like the way capitalism oppresses the working-class in real life, Katniss is forced to wear a wedding dress. However, the white wedding dress burns and becomes a black dress with wings like a mockingjay when Katniss is asked to stand up and turn around to show all the audience her ‘magic trick’. Would this be a symbol that the revolution is about to start? According to the third book of the trilogy, the strength of the working-class is much bigger than what Capitol expects, and the fragile system of the state definitely fails eventually. The movement based on the strength of the working-class clearly does not only exist in fictional worlds. The larger the upper-class gets, the smaller we get, and the easier the upper-class will oppress us. It is necessary for us to learn the theme of The Hunger Games—solidarity of the oppressed class to fight against the exploiters. « Happy International Women’s Day 2014!